As if 2016’s Carpool Karaoke segments weren’t good enough, Ed Sheeran has revealed he’ll be joining James Corden in his car to take part in the insanely popular skit. Last year’s Carpool Karaokes saw the likes of Adele, Britney Spears, Madonna, Lady Gaga, and Elton John join Corden for a drive around while blasting and singing along to their biggest hits. 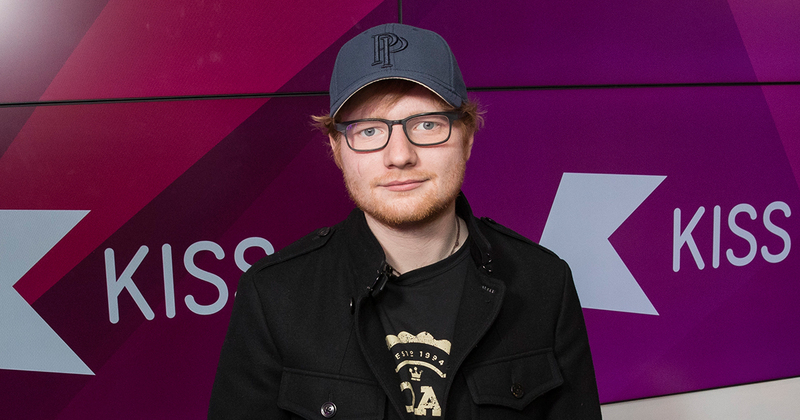 And, while we’ve got a long list of stars we’d absolutely LOVE to see do Carpool Karaoke (Cher is number one), Ed Sheeran is absolutely up there! Well, in an interview with British radio station Capital FM, Ed Sheeran has practically confirmed that he’ll be jumping in the car to take part in Carpool Karaoke. The British singer, who was recently involved in a rather ugly accident with a British princess that saw him get cut on the face with a sword, told Capital FM that he and James Corden would indeed take a ride around bopping to his tracks. "I can confirm that at some point this year I will be doing a Carpool Karaoke," he said. Despite having LOADS of amazing songs, however, it seems that Ed is rather reluctant to sing his own tunes during the segment. "I know the whole thing is singing to your tune, but I think I'd feel a bit awkward singing to my song," he revealed. "I think I just wanna put on some Biggie. Well I wanna put on something really awkward and dirty, like Biggie's song 'Big Booty Hoes'." Mmm…we’re not 100% sure what CBS would say about that, but we’re sure you could ask, Ed? Last week (January 6th), Ed Sheeran shared not one but TWO comeback tracks. The first track, titled “Shape Of You” is a tropically tinged bop produced by Steve Mac (Demi Lovato, Selena Gomez, Little Mix), and doesn’t really sound very Ed Sheeran at all. The second track, “Castle On The Hill,” is a slightly more subdued affair. Both tracks are already on course to break a chart record in the singer’s home country, the U.K., as the first artist to debut at the top two positions with a pair of new songs. Meanwhile, it’s thought that Ed Sheeran’s new album is a continuation of the mathematical themes of his previous outputs. Eagle eyed fans have discovered a prolific use of the “÷” symbol, with many expecting the album to be called Divide. It’s likely, then, that Sheeran’s turn in Carpool Karaoke will occur around the release of his third album. Unfortunately, we don’t have any solid dates for the album release, but we imagine that it’s going to be pretty soon! Hopefully he’ll take his guitar along for the ride, too.